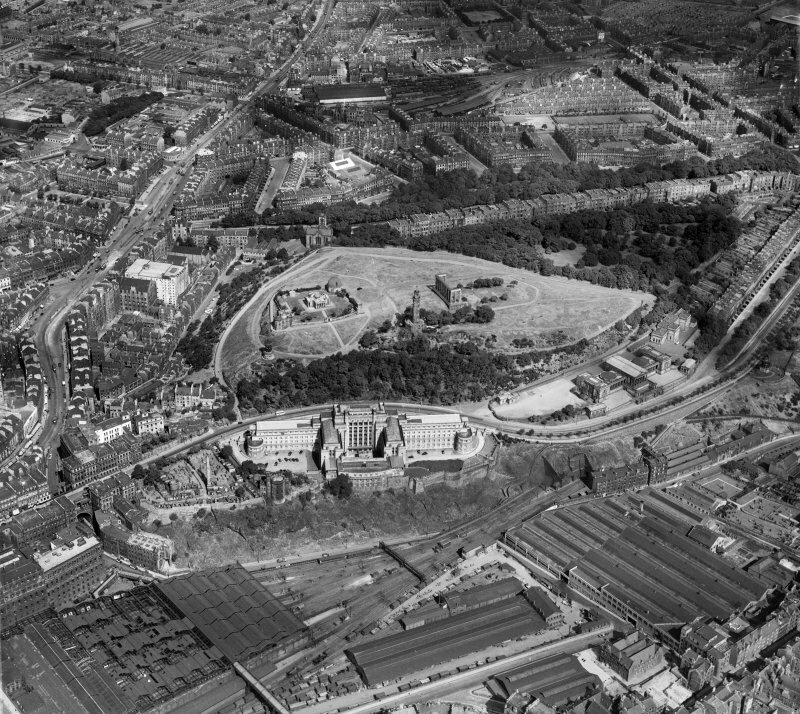 Edinburgh, general view, showing Calton Hill and Leith Walk. Oblique aerial photograph taken facing north. 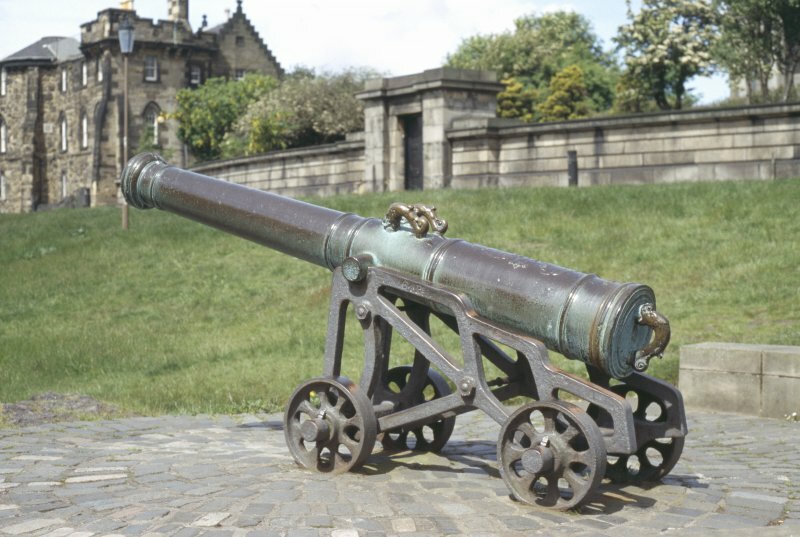 View of cannon on Calton Hill. 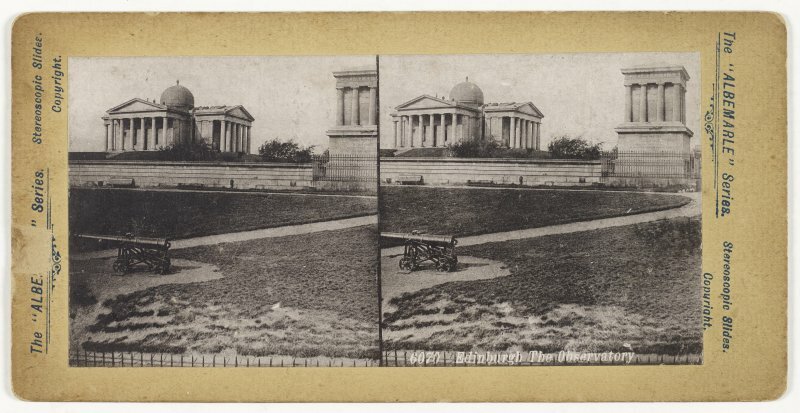 Cannon on carriage (not original). Two symbolic dolphins centre top of barrel, one at end, cast metal. Coat of arms in cast relief on top of barrel: shield surrmounted by crown with cross at top. Within shield top left: castle, bottom right: lion, other symbols worn and unclear. Inscription along side of coat of arms, incised later, possibly Burmese?